Mark your calendars for January 15 2014. This just happens to be Drupal’s 14th birthday. The big upgrade happened last week. Big congrats to all how were involved. Drupal.org is a huge Drupal site. The Best Drupal Development Platform is Now Free, For You! We know you build epic websites. 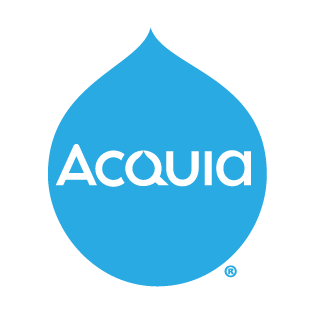 Acquia Cloud Free helps you save tons of time detecting and fixing issues, so you can focus on experimenting with and testing your Drupal sites to perfection. Don’t wait any longer, sign up today for Acquia Cloud Free. Some interesting issues with Address field brought up by Eric Peterson. Nir Yariv shares how Gizra uses Github issues with their clients. This is a nice tutorial based on migrating the Code Snippets Module to Drupal by Web Wash.
News on the Drupal 8 developer API documentation front, a new Drupal 8 landing page, and more in this week’s installment. A very nifty tutorial from Randy Fay where he explains how to use PHPStorm and xdebug debug external web services locally. Smoothify has written a handy tutorial for anyone that has never written a Panels style plugin. I love it when people like Jonathan Jordan share things they have learned. It’s a simple thing but these breakpoints might come in handy for a few of you. A nice tip from Earl Miles. Palantir’s Beth Binkovitz has shared her Git merge deck. These slides are worth a look. LevelUP Tuts has a nice beginner friendly video series on YouTube. March 8th, 2014 in Winter Park, Florida.